Gross inequalities, arising from and seriously compounding the obscene accumulation and concentration of wealth, have become the defining issue of our time. In some quarters, particularly those inhabited by die-hard market fundamentalists, contrary to the existential threats it invokes, it is believed to be a universal default setting of human society – ordained by Fukuyama-ist end-of-history normalcy, leave alone, finality. As a critical element of the ever- deepening crisis, it is producing a toxic political-economic and ecological situation, the adverse historical implications to which neoliberal political dispositions remain unresponsive, if not utterly oblivious. No wonder it has become the single most important challenge facing humankind, particularly in respect to the accompanying deficit in democratic governance and peaceful coexistence between different sections of societies and even between nations. In Kenya the NGO SODNET reports that “the widening gap between the rich and the poor continues to undermine confidence in the institutions of democratic economic governance and, alongside it, the imperative of social cohesion as a condition for sustainable development”. According to Edward Oyugi, J. Ocholla and Mwaura Kaara “Kenya still lives uneasily with a colonial past and its legacy of unequal development, arising from acute asymmetry of power relations associated with the continuation of a colonial system that had merely engaged a strategic retreat gear against the false belief that the post-colonial dispensation marked a systemic transformation of the colonial societies.” The report concludes that democracy and sustainable development remain “a dream” because “the culture and practice of corruption has grown deep and enduring roots in Kenyan society and become endemic” and allows for concentration of wealth within the ruling circles. The political and bureaucratic leadership benefit from it “and the existing governance institutions either kick the can down the road or lack both the will and capacity to stop them from doing so”. The successful implementation of the 2030 Agenda requires bold and transformative steps that are urgently needed to shift the world on to a sustainable and resilient path. In order for it to be a collective journey, on which no one should be left behind, the scale and ambition of the 17 Sustainable Development Goals and 169 targets require a broad and integrated approach not only to balancing and realigning the normative architecture of the global economy but also to restructuring regional and national political-economic practices. Politics as usual and economics as the determined by the rich and powerful will have no place on this new path. Merely tinkering with uncomfortable edges of the micro-economic status quo will not do. The historical direction and social-structural content of such a shift will involve the modification of the deep structures of poverty in the periphery economies up to and including addressing the different aspects of state autonomy and the underlying democratic deficits that stand on the way of building sustainable national economies. Huduma is an initiative of INFONET previously incubated at SODNET (Social Watch in Kenya), the United Nations Millennium Campaign and the African Institute for Health and Development (AIHD) that seeks to improve public service delivery through the strategic use of Technology. The strategy is coined within a logic of improving the capability of the state and that of an informed citizen to collectively improve service. While the state remains the largest provider or guarantor of services, the citizenry have a right and responsibility to engage in the improvement of such services. Huduma places in the hands of citizens, simple technology and media based tools and platforms to amplify their voices, while at the same time, improves the capacity for better responsiveness. From 16 till 18 September UN Women convened an expert meeting on the post-2015 development agenda and gender equality in Kenya. Approximately 40 experts with representation from diverse backgrounds contributed to this meeting. A wide range of challenges that the world is facing were discussed, varying from specific topics such as women’s role in sustainable livelihoods, women’s health and violence against women, to more general topics such as poverty, education, economic development, food and natural resources. The expert meeting said to be committed to the attainment of the Millennium Development Goals and the acceleration of their implementation and to the prior commitments in the Beijing Platform of Action. Philip Thigo, 36, grew up in Kibera, the largest slum in Nairobi. After studying at Princeton and working abroad, he is now back where it all began. "I realized that my skills were needed in Kenya and decided to go home", he said. Now he works to strengthen democracy and poor people’s rights with the Social Development Network (Sodnet) , an NGO working to mobilize and channel social engagement, focal point of Social Watch in that African country. In terms of gender equity Kenya places itself above the Sub-Saharan African average but below some of its neighbours. 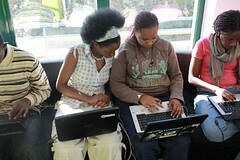 The Indigo Trust, a foundation based in London that funds technology-driven projects to bring about social change in African countries, awarded the Social Development Network (SODNET, focal point of Social Watch in Kenya) a grant of £30,750 that acknowledges its consistent work to improve the lives of ordinary citizens through its Infonet programme. Civil society organizations, including Social Watch’s focal point in Kenya, SODNET, developed a web platform to monitor the development of the country’s constitutional elections that took place on 4 August 2010. This was the second attempt to give Kenya a new constitution after the failure that provoked post election violence in 2008 killing thousands, displacing 300,000 and affecting all Kenyans. SODNET, the focal point of the Kenya Social Watch coalition, is part of the civil society team that has been actively monitoring Kenya's constitutional referendum on August 4, 2010, which is a key step towards the consolidation of democracy in the country. June's “Spotlight on” is dedicated to Social Watch Kenya, which in August will be holding the next Social Watch regional capacity building workshop.